This large earthette accordion folds and gold-tone hardware make this a perfect day-to-night choice. 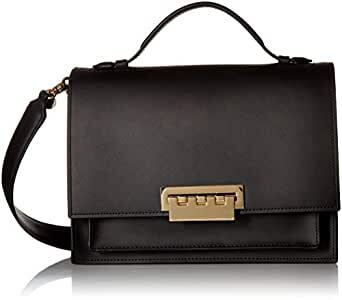 Features lightweight, genuine leather and signature ZAC Zac Posen hinge lock closure. Dust bag included. Comes with a removable shoulder strap.